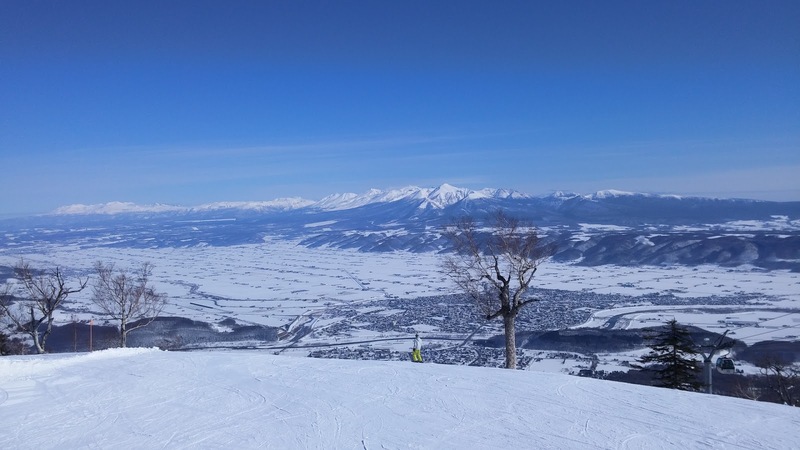 Last day skiing in the central Hokkaido town of Furano today! Although we had wanted to book another half day lesson today like we had done the previous two days, we were not able to as they were booked out. The upside to this at least was that we had the whole day to ourselves. 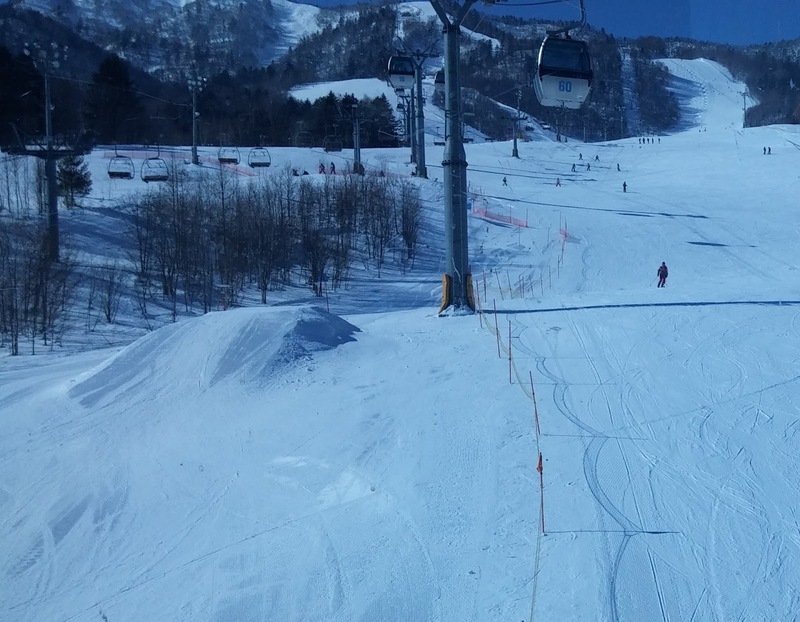 So in the morning we bought a full day ski pass each for 5200 yen and then did a few runs together, going up the Kitanomine high speed lift and down the beginner family slope. Kate was a more nervous and a far bit slower than me so we decided it would be fine to try splitting up on the next slope. So I did the slightly steeper Junior slope and waited down the bottom while Kate did the Family slope again. After reuniting we then took our skies off and caught the main gondola up the very top of the mountain to have a look at the view. We left our skies behind as there were no beginner trails from the top, we also checked that we could catch the gondola back down when we got on. We spent several minutes at the top enjoying the view and posing for some photos before catching the gondola back down to the bottom of the mountain. 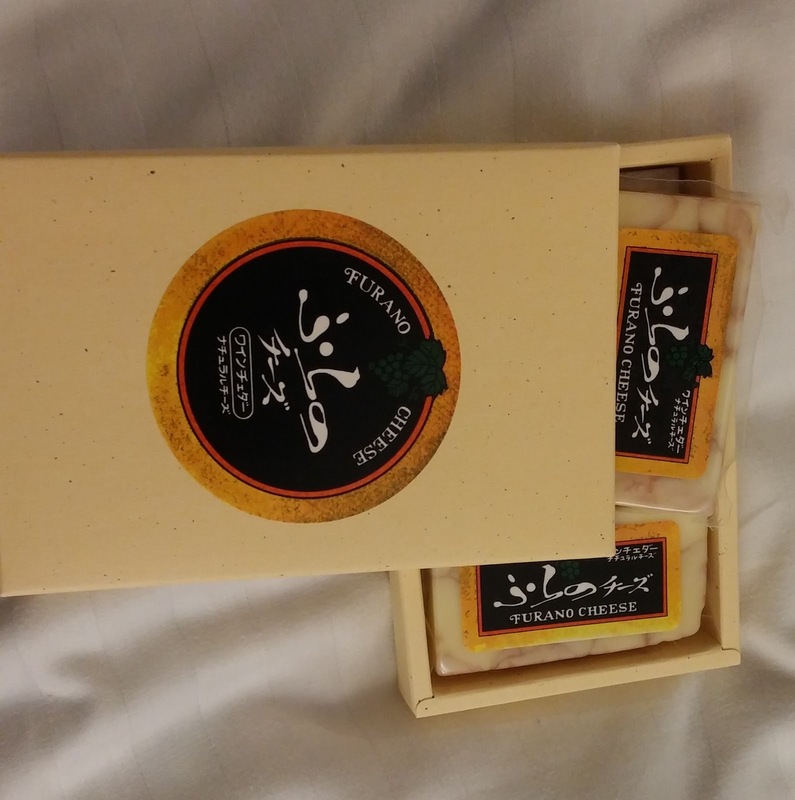 We then caught a taxi to the Furano cheese factory, which is located about ten minutes away and cost around 1000 yen or so. Upon getting out of the taxi I slipped backwards pretty badly on the ice, but thankfully was not too injured. At first we thought the place was shut as there was no one around and it looked really quiet. 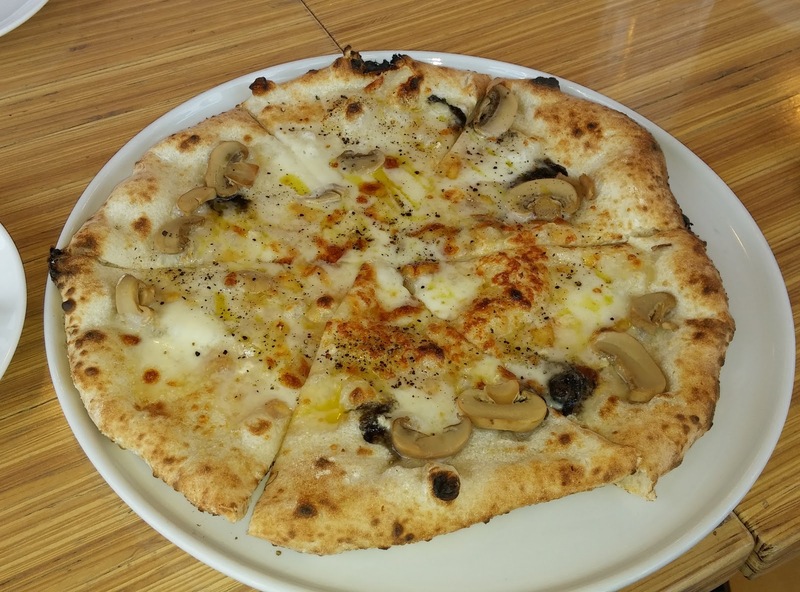 We eventually managed to find that the restaurant was open and we ordered a seven cheese pizza for lunch, which was really really tasty. 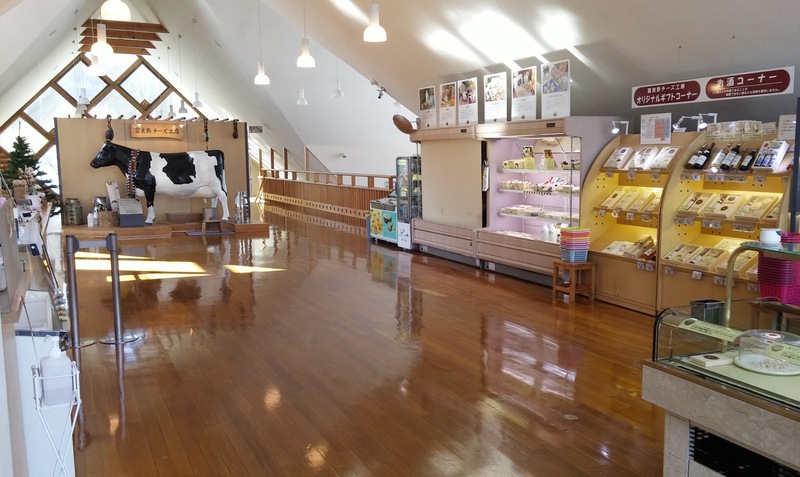 Along with the restaurant and the cheese making viewing windows it is also possible to participate in hands-on butter, ice cream, bread and cheese workshops. We didn't do any of these, either because they were not running today or possibly because we didn't feel we had enough time. After having a looking at the gift shop, and buying more cheese, we asked the staff to call us a taxi and returned back to the Furano ski area. In the afternoon we did lots more skiing! 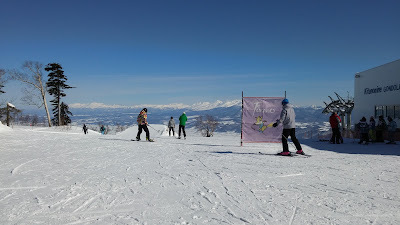 We split up and I did all of the other beginner courses that could be reached from the first lift and then went up the second lift to do the steeper beginner trails up near the top of the mountain. It was lots of fun and I think I did about 24-26 runs total today! 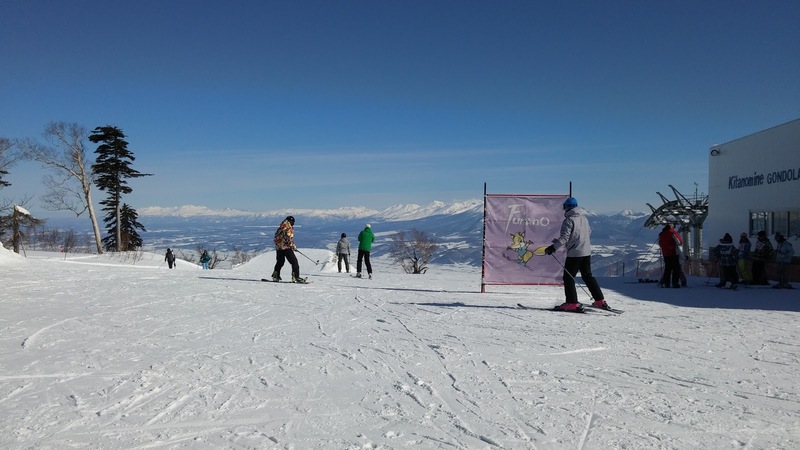 In the evening we returned our ski equipment then ourselves to our hotel and packed up ready for tomorrow where we'll be travelling to Asahikawa to visit the Asahiyama zoo and then the Asahikawa snow festival before continuing on to the northern extremes of Hokkaido!